Fetal Injury Lawsuit Attorneys in Florida | Gonzalez & Cartwright, P.A. Modern medical advances allow doctors and medical professionals to monitor a fetus carefully both throughout a pregnancy and during the labor and delivery process. This monitoring can be crucial to detecting any problems that occur prior to birth and, in many cases, gives your medical team an opportunity to prevent any fetal injuries that might occur prior to birth or during the delivery itself. When your medical team fails to recognize or act upon signs that the fetus is not developing properly or is in distress, that failure may cause your child to suffer injuries that may have been entirely preventable with appropriate fetal care and monitoring. At Gonzalez & Cartwright, P.A., our experienced medical malpractice lawyers understand how devastating it can be to receive news that your child suffered an injury before birth. When that injury was caused by a medical professional’s failure to properly monitor the fetus for signs of distress, or failure to respond appropriately to signs of fetal distress, you may be entitled to financial compensation because of that individual’s negligence. If you have questions about pre-birth injuries sustained by your child or the treatment that you received during pregnancy or labor, contact our offices today to discuss your situation with our experienced bilingual attorneys. Amniotic fluid levels are low. These types of fetal injuries can result in the need for lifelong care for your child, beginning at the moment when the child is born. If your child suffered a pre-birth injury in Broward County, Palm Beach County or elsewhere in South Florida, our skilled birth injury lawyers are here to help ensure you receive the compensation you deserve to help you move forward. We understand how intimidating it can be to bring legal action against your hospital or team of medical professionals, especially if English is not your first language. 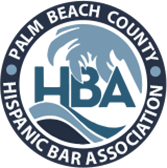 Our fully bilingual attorneys are here to help you navigate the legal system here in South Florida whether you speak English or Spanish, so call today, or fill out this secure online contact form, to schedule a free initial consultation with one of our fetal injury lawyers. 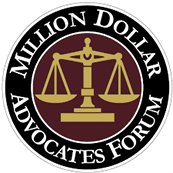 FAQ: Who can be held responsible for fetal injuries to my child before my child was even born? Any number of medical professionals may be responsible for your child’s fetal injuries, and our lawyers will conduct a full investigation to determine whether the negligent actions of a member of your medical team caused those injuries. Examples of parties who may be responsible include gynecologists, nurses, EMTs, and emergency room staff, laboratories responsible for providing test results, pharmacists, anesthesiologists, hospitals and clinics. FAQ: How long do I have to decide whether to bring a claim against a treating medical staff member for my child’s fetal injuries? Claims for compensation for fetal injuries are medical malpractice lawsuits, and several different time frames apply under Florida law. Generally, the statute of limitations for filing a fetal injury claim is two years from the date you knew or should have known, that it was reasonable that the injury was caused by malpractice. Unless the medical professional committed some sort of fraud or misrepresented the facts, there is a firm four-year deadline for filing a claim even if you did not know that your child’s injuries were caused by malpractice. While there is an extended deadline for children, this deadline may not apply if you reasonably should have known about the injury within the general two-year period. We can provide more detailed information as to how these general time limits may apply in your specific case.